Unlock Your HTC Phone in just few minutes! Choose your HTC phone by selecting or searching from the drop down list. If you can't find your HTC model contact us. Since then, we have been HTC unlocking specialists, supplying codes within a maximum of 30 minutes at a cost of 9.00 to 20.00 depending on model, with the guarantee of a manufacturer-provided code. Not only that, you don't even need to know the original network provider, because our manufacturer codes are compatible with all networks! 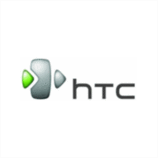 All HTC unlock codes are eight-digit codes. Not only that, you don't even need to know the original network provider, because our manufacturer codes are compatible with all networks! All HTC unlock codes are eight-digit codes. It's FAST, EASY and SAFE. Quick, easy and simple! Unlock code received within 15mins of ordering. Fantastic service! Great Service, had the code within 15 minutes and just worked. More expensive than a lot of sites but it did the job...which the other sites didn't. How to enter unlock code in HTC Phone? "Successfuly unlocked from the network. Rebooting..." message will show up: you're done! Your HTC will then be totally unlocked and will accept any SIM card from any network. One of the major benefits of unlocking an HTC smartphone is that our database is updated regularly. So even if your HTC is one of the very latest models such as the One M9, we update our unlock code database once every month or so. If your order has been refunded because an unlock code wasn't available, we will send you an e-mail as soon as we have found your IMEI. You can also contact us before placing an order, specifying your model and your IMEI, and we will be able to check whether or not your unlock code is available.